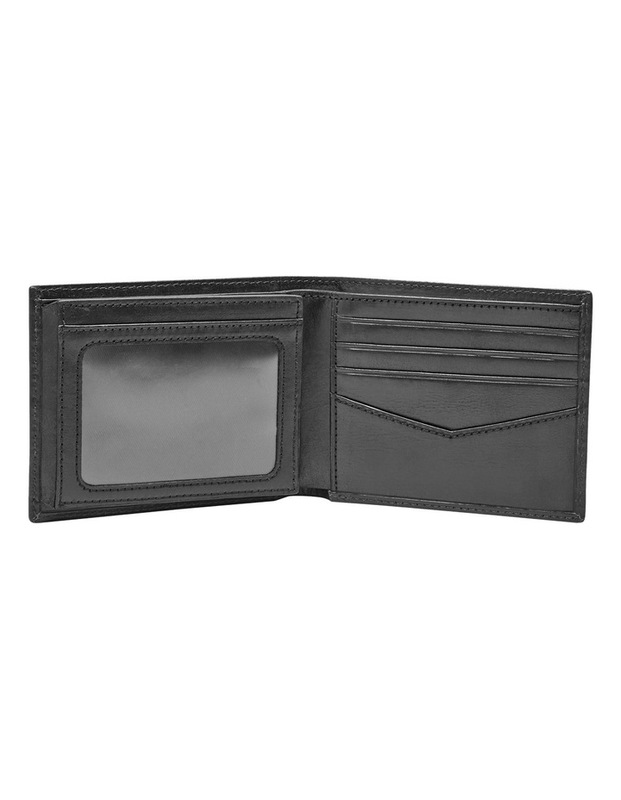 Measurements: 4.82"L x 0.43"W x 3.5"H.
Exterior Details: 1 Slip Pocket. 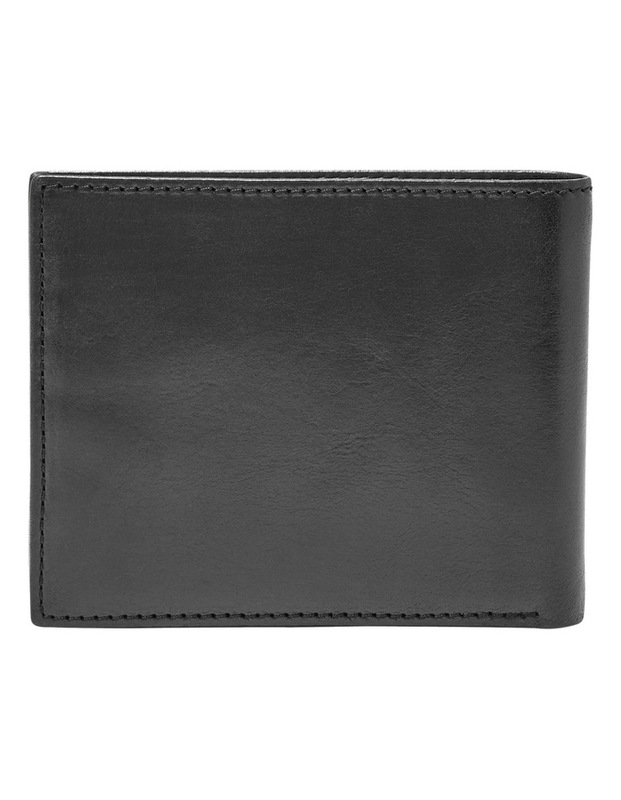 Interior Material: Twill - 100% Cotton. 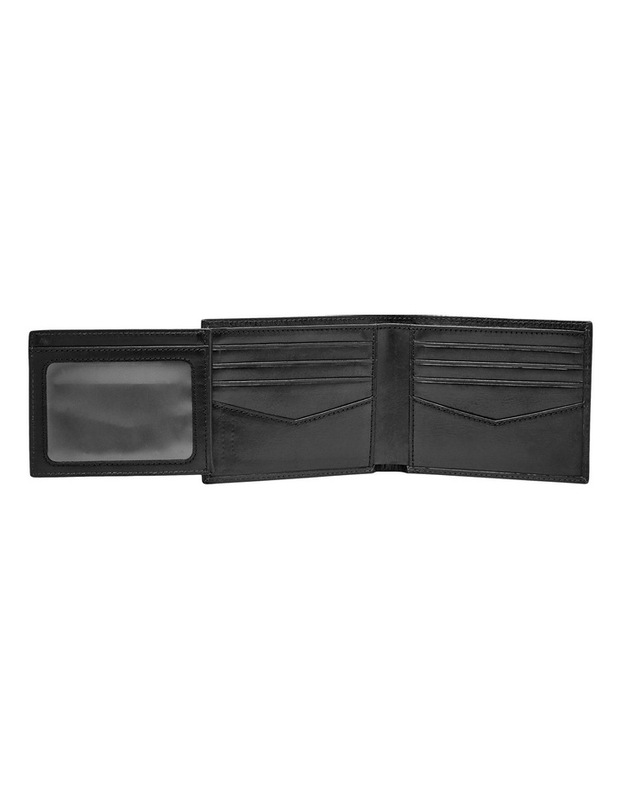 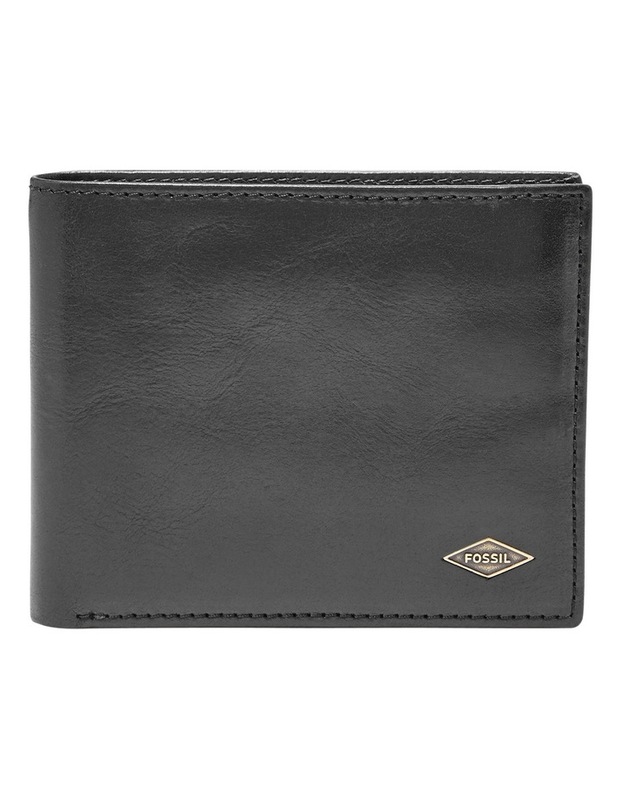 Interior Details: 8 Credit Card Slots, 2 Flip ID Windows, 2 Slip Pockets, 1 Bill Compartment.